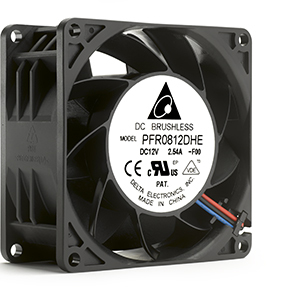 PFR series is designed for high air pressure and low power consumption application. By using new impeller and stator blades combination, it also improve traditional deep stall condition and reduce noise in this area, provide a more comfortable environment. It features plastic impeller and frame, as well as Delta’s maintenance-free ball bearing system.